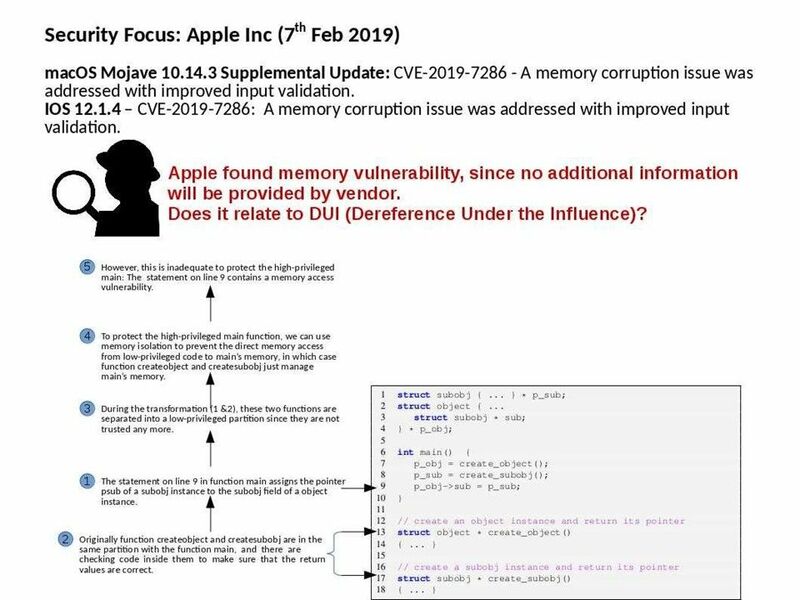 Preface: Apple found memory vulnerability, since no additional information will be provided by vendor. Does it relate to DUI (Dereference Under the Influence)? Attackers use the DUI vulnerability as a memory access service to mount attacks. Their aim to influence memory operations of isolated components through inputs to their public interface.